Sugar and Spice and Everything — Pumpkin! While Halloween is my favorite holiday, I have to say that the food at Thanksgiving is always the best. I love pumpkin pie, pumpkin cheesecake, pumpkin spice cake. I even put a little pumpkin in the food I cook for the dogs. Good and good for you! I have a lot of news this month. Y’all know I take care of a large number of stray cats, dogs, and a few horses. I do most all of the physical work because they are here at the farm with me, and I enjoy it. But those of you with pets also know that it’s an expensive “mission from God” to take on 20+ animals and give them quality food, flea and tick prevention, and vet care. 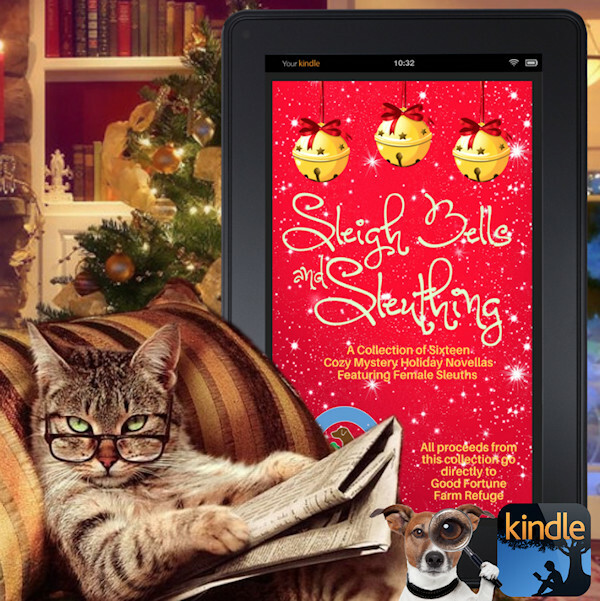 In a really remarkable turn of events, 16 authors from the Sleuthing Women Book Club have put together a digital collection of Christmas novellas—SLEIGH BELLS AND SLEUTHING. All proceeds are going to my rescue, Good Fortune Farm Refuge. And every penny is going to animals—my friends who help me and I don’t take a single penny. We love animals and we do this because we love animals. And we enjoy helping people who love animals. While the farm work is mostly done by me, keep in mind that Aleta Beaudreaux cares for a bunch of animals and does all the tax and financial stuff for the rescue, and Delena Dattilo Hearndon (who also cares for and feeds a number of animals) is the president and heads up special projects such as spay and neuter initiatives (which are so desperately needed) whenever we have money to spend. SLEIGH BELLS AND SLEUTHING is on pre-order now for $2.99. It goes on sale November 20 and the price goes up to $4.99 so now is your opportunity to grab these delightful Christmas mysteries by some truly talented authors for a bargain price. And you’ll be doing a good deed for the four-leggers and the bipeds (as Trouble would say) in the lower Alabama/Mississippi region. The authors in this collection have done this out of the goodness of their hearts, so I’m asking you, my friends and readers, to please share this opportunity to have a great Christmas collection and to help critters. Just let folks who might be interested know about SLEIGH BELLS. Thank you. And in other book news (this has been a very, very busy fall for book news!) 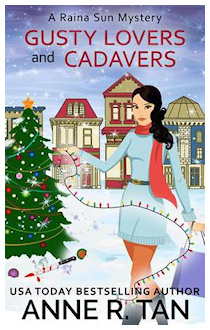 remember that Sarah Booth’s Christmas adventure is available, A GIFT OF BONES. One of my readers said the scene with the midnight horseback ride across the fields to a very special surprise was one of the most romantic she’d ever read. That really tickled me, because readers have been asking for a long, long time. I hope I meet your expectations! And mark your calendars, because Random House is offering a special discount sale on BURIED BONES on December 4. This is the second in the Sarah Booth Delaney series—and I love the character of Ambrose. He’s based on a very dear friend, Eugene Walter, who passed away some twenty years ago but his love of fun and mischief is still alive in me! As we move into December, I’ll be hosting COZY TOWN SLEUTHS on Facebook on December 18-21. This is the brainchild of Tonya Kappes (a super talented writer and all around great humanoid! ), and a new author each week will take folks on a tour of their cozy small town. Mine is Zinnia, Mississippi, and I’m really excited to talk about this town, which is fictional, but has become as real as my hometown of Lucedale, Mississippi. We’ll be exploring the history, the people, the mysteries and giving away some books! Please mark your calendar to join me, but also check in with the other authors. You just might find some wonderful new towns to read about. 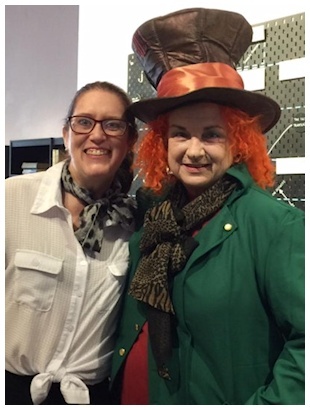 Tammy Lynn and me in my Mad Hatter “MadCatter” costume. If you didn’t get a chance to see our crazy Halloween bash, check out the photos in the Mad Catters at the Haunted Book Shop photo album. We had a massively good time! Just so you know I didn’t skip completely over Thanksgiving, here’s a turkey day blues tune, “Let it Slide” which I enjoyed very much. Hope you do too. 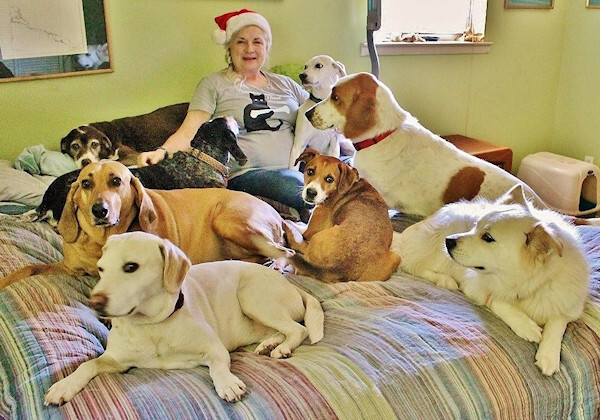 Carolyn and the Critters—Rockin’ Toward 2019! P.S. And here’s a little Christmas bonus! My friend Anne R. Tan has a Christmas book that might liven up your holidays. GUSTY LOVERS AND CADAVERS—a nice blend of merry and mayhem! Anne had a brief message about her book. “Two years before I wrote “Gusty Lovers,” I read an article about the police closing down a birth resort in southern California. When I did a little more research, I found this was a problem in several developed countries where wealthy women would have their babies in foreign countries to give their unborn child dual citizenships without any intention of staying after the birth. Curiosity led to the creation of this Chinese Christmas book. I hope you’ll enjoy it. And a bit about her book! When Raina Sun drops by the local box store to do some last minute Christmas shopping, she finds a toy riot and an abandoned baby. 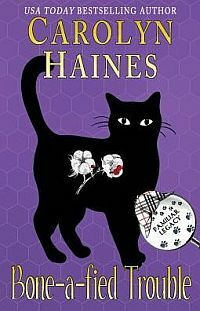 When the child’s mother turns up dead, Raina is dragged into another investigation. And the holiday turns into a season for mayhem. Can Raina protect this baby and track down a hidden killer before she becomes the next victim?